Zachary Ives is an Associate Professor and the Markowitz Faculty Fellow at the University of Pennsylvania. His research interests include data integration and sharing, "big data," sensor networks, and data provenance and authoritativeness. 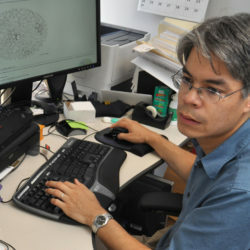 He is a recipient of the NSF CAREER award, and an alumnus of the DARPA Computer Science Study Panel and Information Science and Technology advisory panel. He has also been awarded the Christian R. and Mary F. Lindback Foundation Award for Distinguished Teaching. He serves as the undergraduate curriculum chair for Penn's Singh Program in Networked and Social Systems Engineering. He is a co-author of the textbook Principles of Data Integration, and received an ICDE 2013 ten-year Most Influential Paper award.